A private, full service Ocean front Mansion located in the heart of Cancun's hotel zone. Aligned by white sandy beaches overlooking the crystal clear waters of the Caribbean on one side and the green golf course on the other. 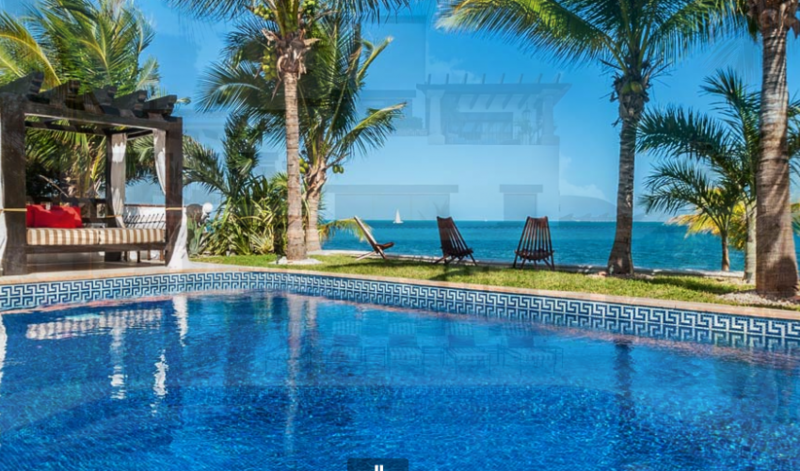 The property is steps from fine dinning, shopping, world-renowned scuba diving, deep-sea fishing, beautiful natural reserves and only a short 15 minute drive from Canun's international airport. 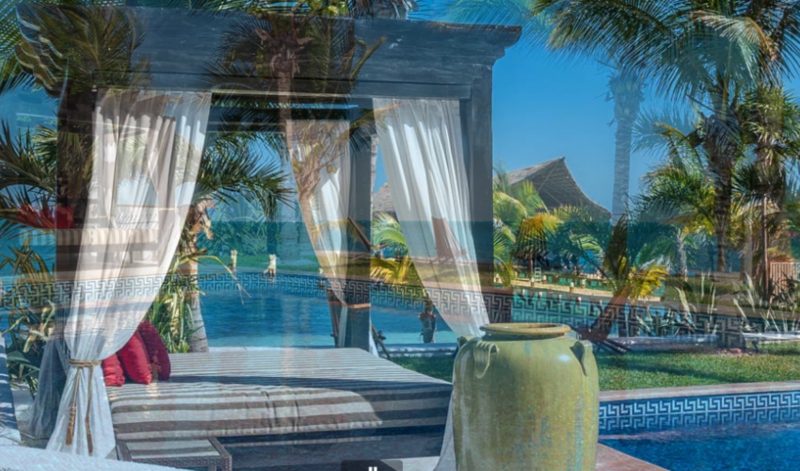 Here where the Maya civilization embraces the blue and turquoise waters of the Mexican Caribbean, vacationers can revel in an incredible blend of a luxury villa with colonial charm and outdoor activities. 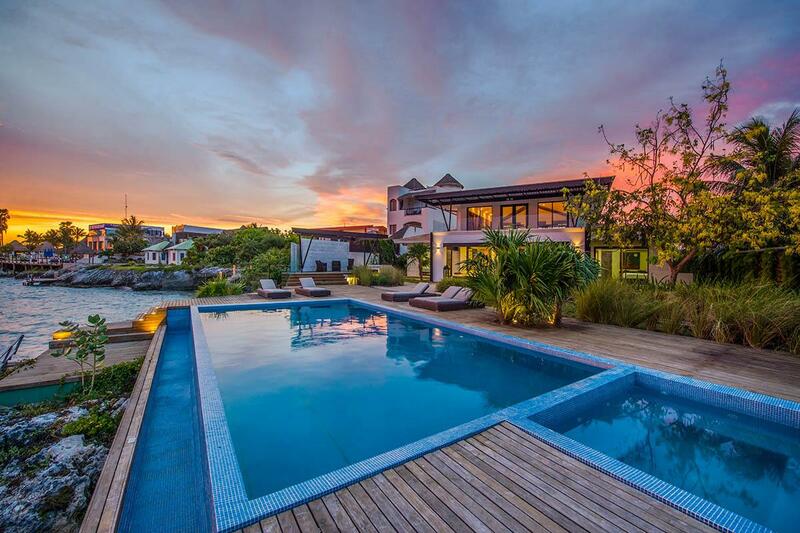 This villa offers luxury accomodations that can create a unique Cancun Vacation. 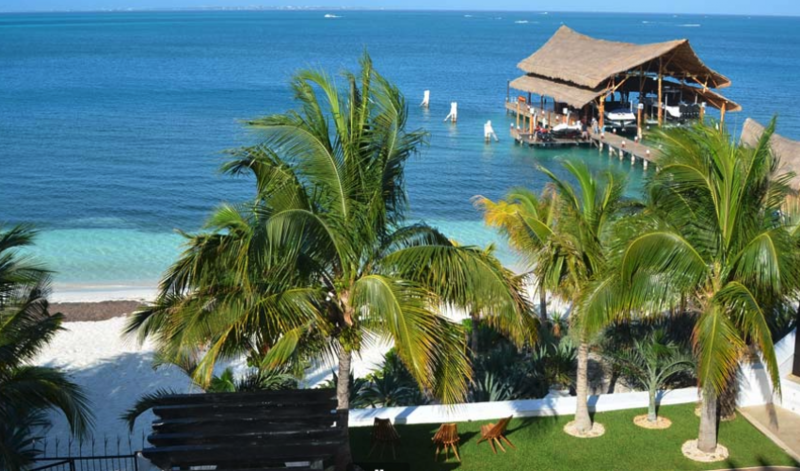 Offers luxury accommodations that would create an amazing Cancun vacation in one of the best Mexico villas. 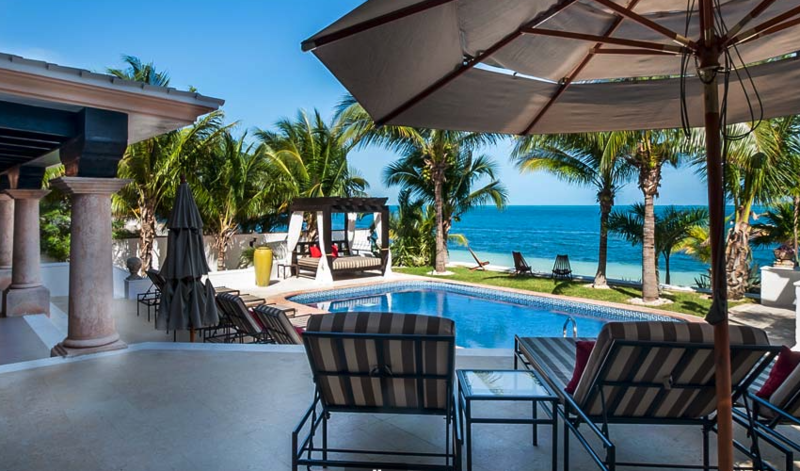 Here where the Maya civilization embraces the blue and turquoise waters of the Mexican Caribbean, vacationers can revel in an incredible blend of a luxury villa with colonial charm and outdoor activities. 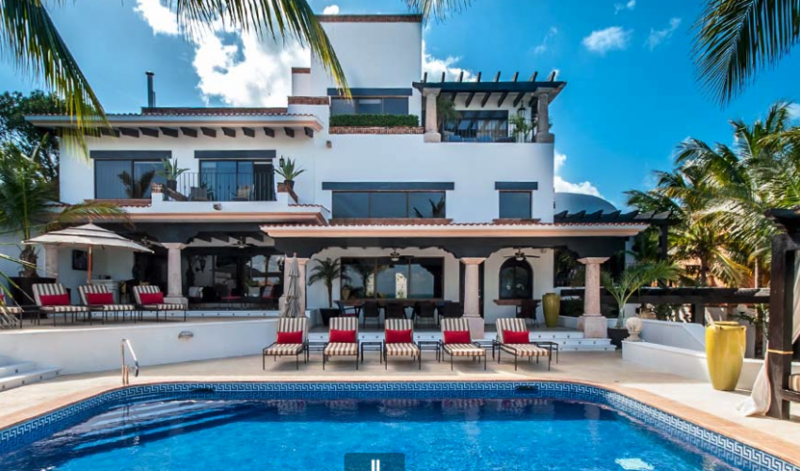 The combination of the villa's unique architectural design built on different levels will provide well-being, peace, beautiful Caribbean beach, luxury, relaxation and privacy while still having the feeling of the beautiful Cancun beach. 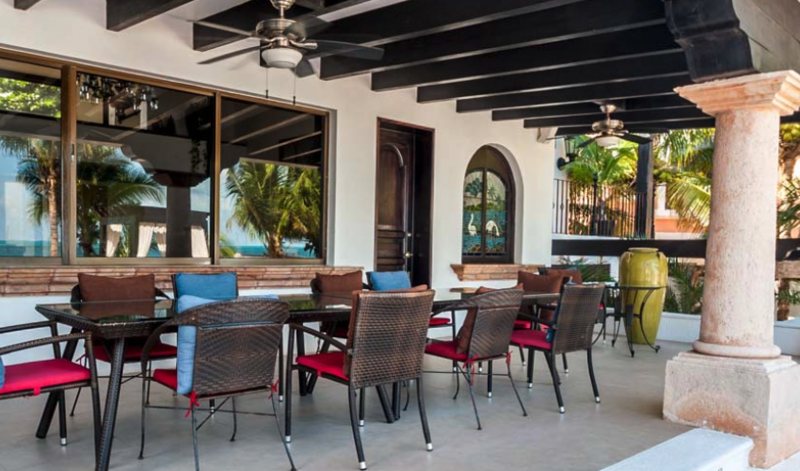 With 11,500 sq ft (1,100 m2) of total interior space, its handcrafted wood, glass works and majestic chandeliers all makes this one of the best Mexico villas and Cancun vacation rentals available to the Cancun vacation rental market. The two remarkable colonial style fountains in the three-story high vaulted ceiling living room area, will give you an elegant and unique feeling, offering you one of the best Cancun vacation experiences as well as the best in Cancun resort villas. 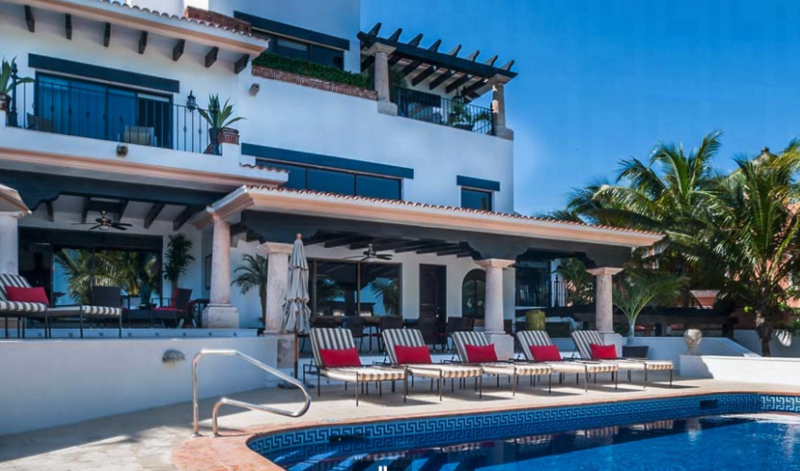 This fabulous villa offers all that is stylish about vacationing in Mexico. Our villa is a full service villa, the nightly rate includes maid service, maintenance person, concierge services, nigh Manager, 24Hr street security, linen and towel service as well as all the essentials such as toiletries, so all you have to take with you is your personal belongings. We can also arrange extra services for you, such as ground transportation, private yacht service, golf trips, in suite massages, jet skis to the Villa's beach, tours, snorkeling trips and much more. Located in the hotel zone of Cancun which offers beautiful beaches, shopping, night life, easy access to taxi service, dinning all within 5 to 10 minute drive and some being within walking distance. For your convenience we offer cook, chef or prearranged meal service (extra cost). The Villa is located a short 15 minute drive from Cancun’s International Airport and we can help you arrange ground transportation to and from the airport.